I have a new go-to! 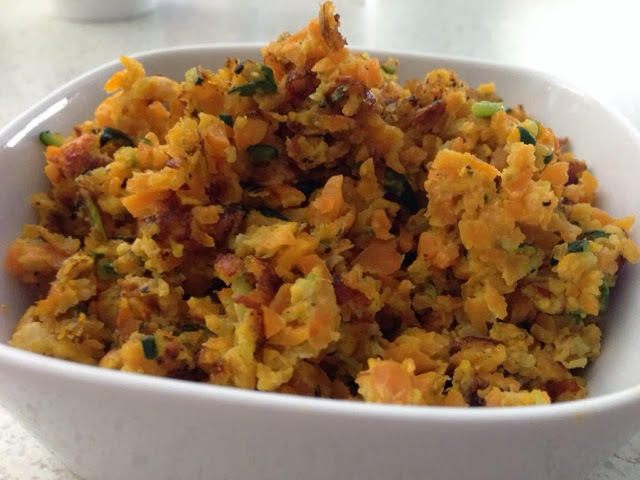 This yummy, veggie and protein packed meal is great for breakfast or lunch and as a scramble or in patties! Put veggies in TM bowl. Chop 5 seconds, speed 6. Put in TM basket to strain all liquid. Put cheese into TM bowl and chop 3 seconds, speed 6. Add eggs, flour and reserved veg. Mix 10 seconds, REVERSE, speed 2. Make patties or scramble on a heated pan with a drizzle of olive oil. Cook until slightly browned. Add salt, pepper and chili to taste if desired. Serve with your TM made ketchup!